With the release of his sophomore album, 'Pieces of a Man,' the question is: how has the calculated composer grown? 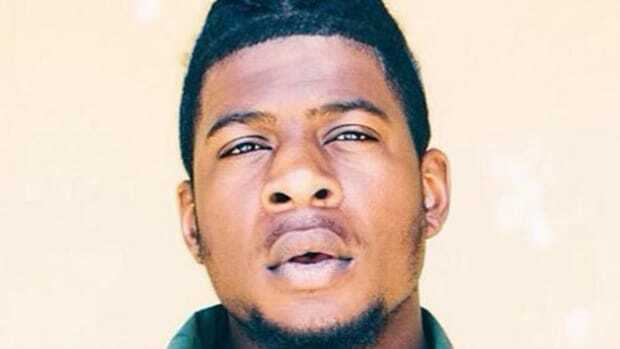 Mick Jenkins doesn’t rush. He&apos;s meticulous. 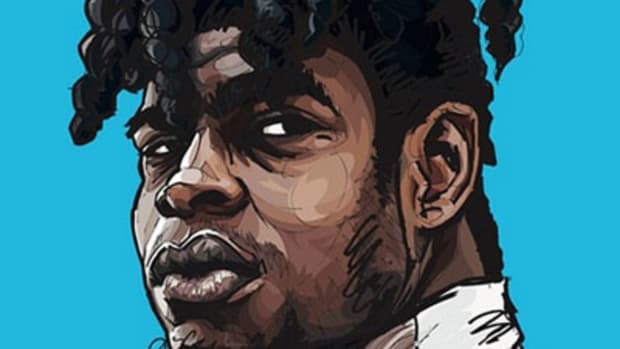 Thanks to a bevy of thoughtfulness and remarkable craftsmanship, Jenkins attracted a sizable audience with his 2014 breakout mixtape, The Water[s]. One year later, he returned with yet another mixtape, the nine-track Wave[s]. 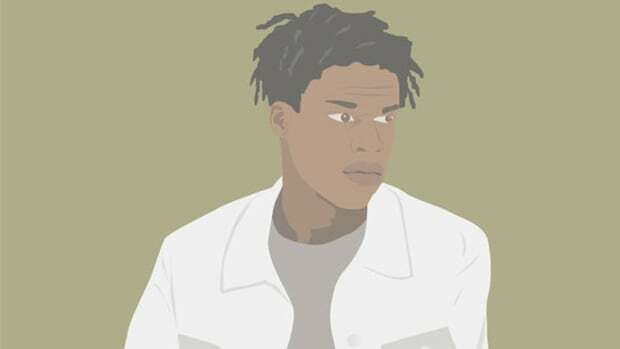 What he displayed as a lyricist and conceptual album constructor across both projects placed the Chicago wordsmith in the company of his city&apos;s brightest rising stars: Chance The Rapper, Vic Mensa, Saba, and Noname. To watch Jenkins is to view an artist who doesn’t move at the industry’s pace. 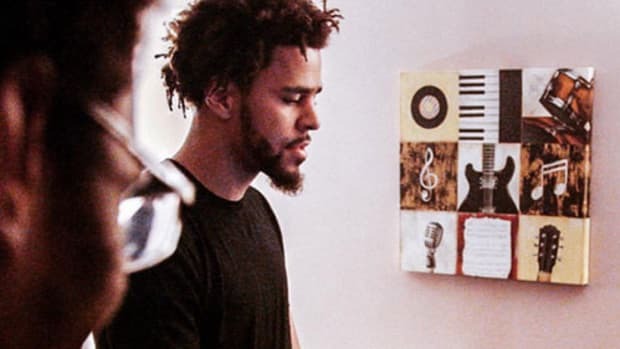 The 27-year-old took his time crafting his 2016 debut album, The Healing Component. The album was not as heralded as his mixtapes but beloved by fans nonetheless. Two EPs would follow—2017&apos;s or more; the anxious and 2018&apos;s or more; the frustration—but neither release was rushed in fear of waning relevance. Rather than deliver a handful of throwaways wrapped in gold, Jenkins served up a taste of what was to come. Similar to Noname, Jenkins builds anticipation by giving his fans just enough without oversharing. Now, with the release of his sophomore album, Pieces of a Man, the question is: how has the calculated composer grown? The Healing Component, at its heart and true to its name, was an album about love. 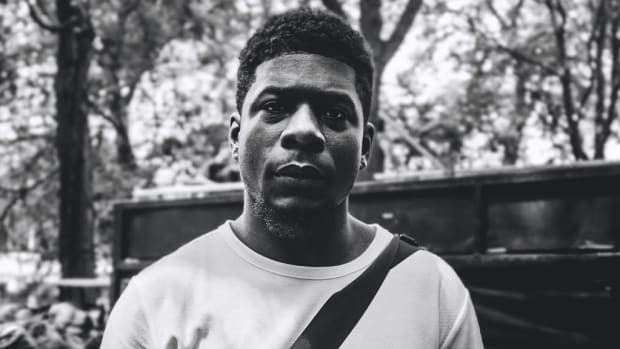 Pieces of a Man is once again an exploration, but this time around the journey is straight into the mind of Mick Jenkins. Pieces of a Man is a literal title, making each song a shard of glass within which we can see what’s being reflected. It’s fitting that the album moves at a pace that lacks in haste; this isn’t a mind in the midst of overthinking, but a state of calm. Even though 2018 justifies a mental storm, especially for people of color, Jenkins doesn’t allow himself to be engulfed. Pieces of a Man shares its title with Gil Scott-Heron’s first studio album released in 1971 on Flying Dutchman Records. Heron was sampled on Jenkins&apos; “Elephant in the Room,” a standalone record that preceded the album&apos;s release, and an early nod to Heron’s influence to come. 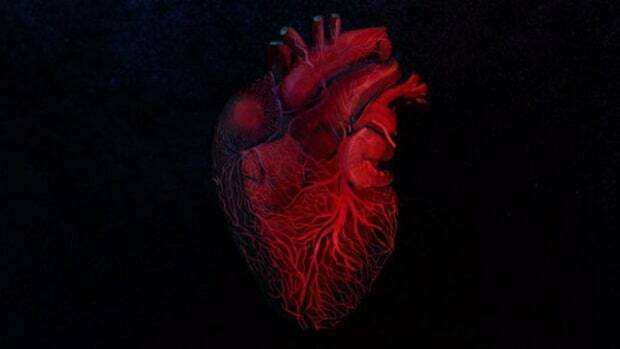 The album&apos;s opener is titled "Heron Flow" The spirit of his poetry, lyricism, and soul sinks into the album’s roots. Lyrically, the wordsmith has elevated. He hasn&apos;t completely mastered the art of the memorable hook, but there isn&apos;t a verse that isn&apos;t filled with enthralling lyricism. “Casually giving no fucks about your two cents,” Jenkins raps on “Reginald,” befitting an album that doesn’t have the feel of compromised creativity. Pieces of a Man is about the man, his thoughts, and what he chooses to share with the world. Honesty, the unapologetic kind, drives the project and creates a sense of eavesdropping in a confessional filled with weed smoke. 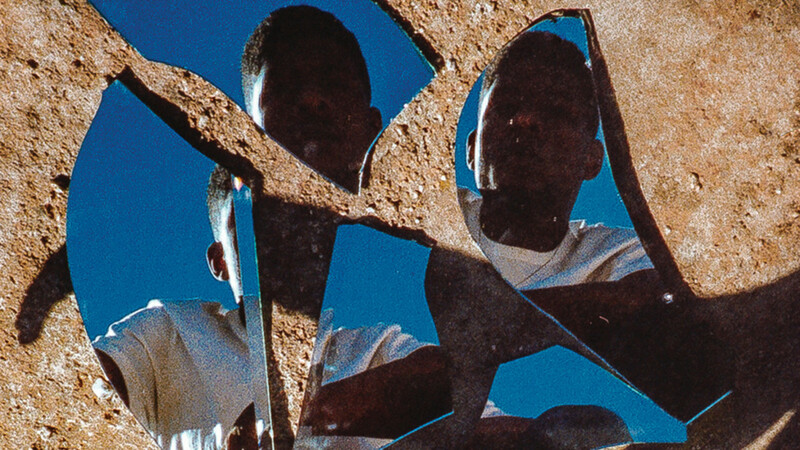 The production on the album—handled by Black Milk, KAYTRANADA, THEMpeople, and BadBadNotGood, among others—is thinner and more atmospheric than Jenkins&apos; previous offerings. He leans into layers of jazz, giving his musings a quiet yet heavy gravity. The project is neither bright nor bleak, but a dimmed room with blue light bulbs. By submerging his sound in the throes of jazz, the album maintains a cohesiveness from start to finish. Setting a strong mood and creating a universe where wordy, layered lyricism can cut through the peeled-back sound is both a gift and a curse for Jenkins on Pieces of a Man. 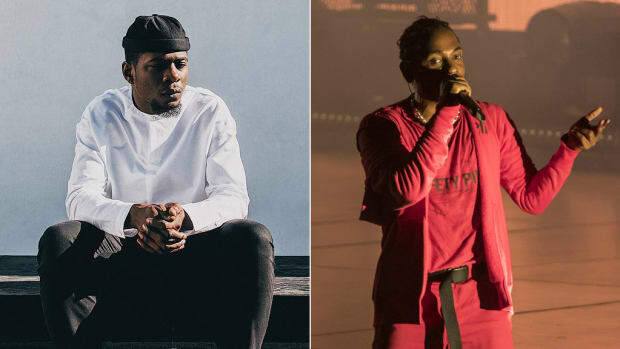 There are dynamic sounds, verses, and moments, but the album, by nature, keeps a consistent groove. Both “Grace & Mercy” and the Ghostface Killah-featured “Padded Lock” strike from their opening moment, while records like "Reginald" and "Plain Clothes" are far more subtle. On an album where the tone is set by the author&apos;s voice, the atmosphere often changes based on Jenkins&apos; approach. Performing verses and hooks with an eloquent softness doesn&apos;t always have the same piercing effect as really belting the words. Pieces of a Man is an ambitious leap over Jenkins&apos; debut album, one that encourages listeners to lose themselves within the artist&apos;s thoughts. But it also tests how much of Mick’s mind they&apos;re interested in unraveling. Nez & Rio laced the eloquent lyricist with a ground-trembling dinosaur. It’s one of the rare moments on the album that feels very modern, but the end result isn’t a forgettable attempt at a street banger. No, Mick comes out the gate referencing Game of Thrones, No Limit, and Eddie Murphy. To take such a filthy record and make the hook about counting blessings is my kind of irony. Keys provide an ominous, overcast setting as if rain could begin falling at any second. It’s a mood for deep reflection. Mick taps into an unapologetic candidness that provides one of his most potent performances. Real rap from a rapper who wants you to know exactly where his head is at. I was leaning toward “Padded Locks” for the final standout, but “Ghost” steals the show by a nose. Kudos to THEMpeople, OV, and Dee Lilly for such a well-produced record. As far as rappers go, Mick’s gift with words will always make him stand out. A song about working on his penmanship is a sweet showcase of why he’s considered such a nice MC. 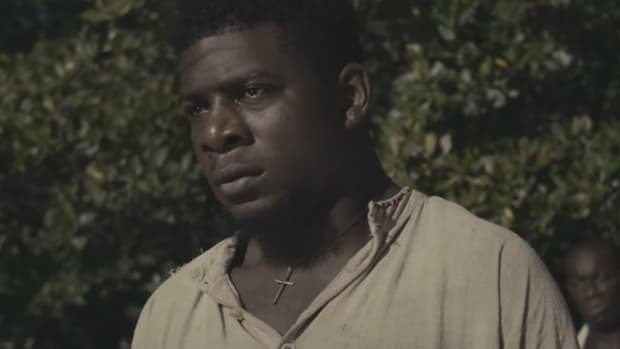 How the changing of seasons changes how I look at and listen to Mick Jenkins. Bas' major label debut album uses the exact same beat as Mick Jenkins' "Comfortable." Was it theft, or something much more complicated?